Valentine’s Day is just around the corner. Since the day is about passion and love, this year I am choosing two wines because of their story as well as the name of these wines. These wines seem appropriate for sweethearts. 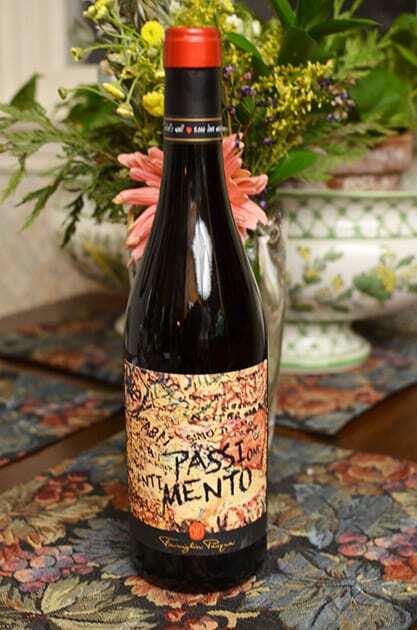 The brand is Romeo & Juliet, and the name of the wine is Passione Sentimento from Famiglia Pasqua, and they deliver passion with each sip. The reference to Romeo and Juliet is a tale of passion and love. Although the story has a tragic ending, the love between the two was steadfast and for many Valentine’s Day represents the enduring love between two people. The name Passione Sentimento means passion and feeling, which also signifies Valentine’s Day. Passione Sentimento was not the name initially given these wines. 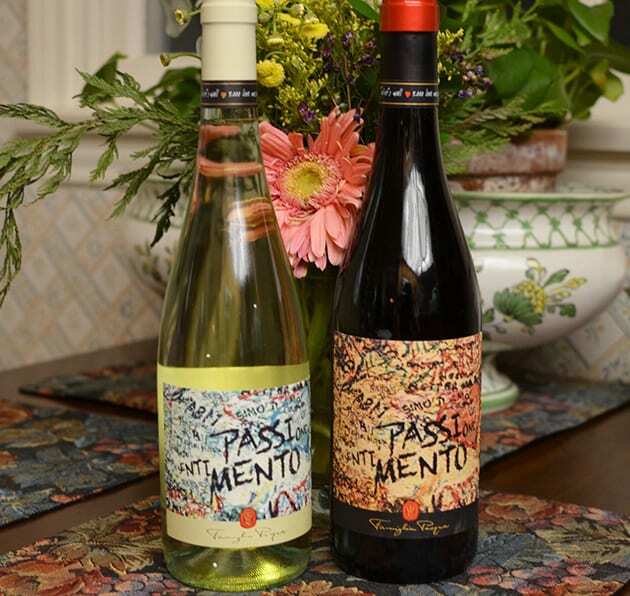 Famiglia Pasqua wanted to name the wine Passimento but because both wines utilize appassimento, the use of dried grapes in the wine process, Italian authorities disallowed the name due to its similarity. The label reminds me of a Jackson Pollack painting adorned with graffiti. 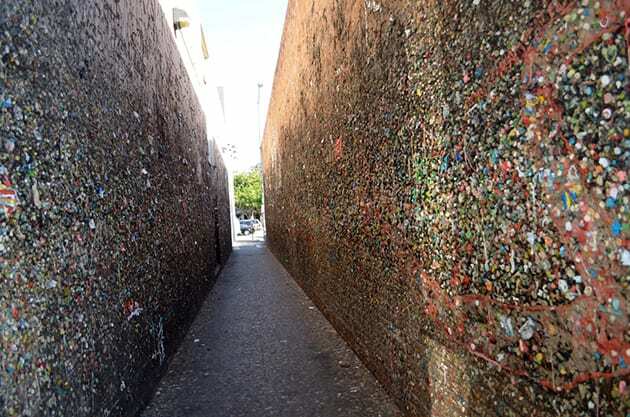 It also reminds me of the wall in San Luis Obispo known as Bubblegum Alley. In actuality, the label represents a graffiti wall at the house in Verona identified with Juliet and her family. 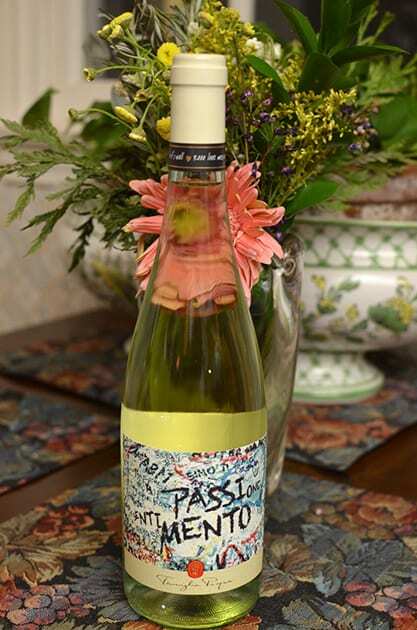 Famiglia Pasqua is a third generation winery in the Veneto area. The area is known for Valpolicella and Amarone, but Pasqua wanted to create something different and more affordable. The idea of using the appassimento in processing grapes not classified in the DOCG means the wines must be categorized as IGT wines. The outcome makes these wines stand out and results in a more creative adaptation to a traditional process. In essence, an old world style of wine becomes a new world wine. Romeo & Juliet Passione Sentimento Blanco, Veneto IGT 2017 consists of 100% Garganega grapes. After harvest, the grapes dry in trays until maceration. Vinification occurs in steel tanks. After fermentation a portion of the wine ages for several months in wooden barrels while the rest remains in stainless steel. The wine displays grapefruit on the nose while on the palate I found stone fruit with citrus on the mid-palate and sweetness on the finish. The wine exhibits a creaminess in the texture. Romeo & Juliet Passione Sentimento Rosso Veneto IGT 2016 combines Merlot, Corvina, and Croatina. The grapes dry for one month on wooden trays followed by fermentation in steel tanks. Maturation occurs in used cherry barrels for three months. I found a different and unusual wine with aromas of cedar and cherry: a tart and dry wine with savory herb components along with flavors of cranberries. If this Valentine’s Day you want to drink something different but creative, passionate and sentimental in its delivery, I suggest choosing either the Blanco or Rosso from Romeo & Juliet. I hope these wines fill your heart with passion and love.